December always provides me with a little more spare time (not much) but certainly more time than the past 10-months when I have been on the road, travelling from race-to-race, recording images, writing stories and podcasting on the weekly and monthly action of mountain and ultra running. I like to look back, soak in my experiences and one-by-one highlight key moments. 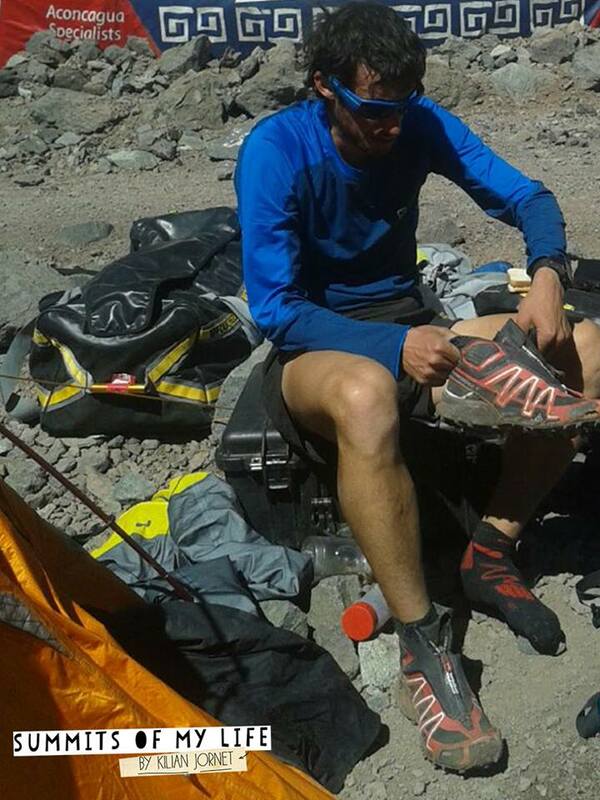 Although I plan to do this in the coming weeks, Kilian Jornet’s imminent ‘Summit’ attempt on Aconcagua has made jump ship and write a post about the Catalan himself. I smile at his honesty and his genuine analysis of his form. You see 2014 has been the most impressive year not only in Kilian’s short life but arguably the most impressive in relation to any sportsperson. Is Kilian THE most rounded athlete? I am biased but I like to think impartial and I have to say, with all things considered, yes! VK to 100-miles, Ski mountaineering and climbing. The Catalan is off the scale. Kilian may well consider his childhood as normal, for him it was, but many would agree that right from aged two he was being nurtured step-by-step to be the perfect outdoor person. It’s an inspiring and intimidating thought process. At 10 years old I was a naive and inexperienced kid, in contrast Kilian was already on a path of greatness. It may not be a path that was pre determined, however, as we look back we can see that Kilian has not stumbled on this ability, this career, this destiny. With the passing of each year, he has created a legacy and should Kilian stop now at the age of 27, his list of records, results and palmares would quite happily last him to the end of his days. December is here and as runners all over the world slip into recovery and hibernation in preparation for the new-year, Kilian departs for the Andes and his attempt to set a record on Aconcagua. In 2000 Brunod, Pelissier and Meraldi climbed from Plaza de Mulas in 3-hours 40-minutes to the summit and Carlos Sa did 15:42 from National Park Horcones. Two records, I wondered which Kilian would go for? The first attempt to reach the summit of Aconcagua by a European was made in 1883 by a party led by the German geologist and explorer Paul Güssfeldt. Bribing porters with the story of treasure on the mountain, he approached the mountain via the Rio Volcan, making two attempts on the peak by the north-west ridge and reaching an altitude of 6,500 metres (21,300 ft). The route that he prospected is now the normal route up the mountain. The first recorded ascent was in 1897 by a British expedition led by Edward FitzGerald. The summit was reached by the Swiss guide Matthias Zurbriggen on January 14 and by two other expedition members a few days later. The youngest person to reach the summit of Aconcagua was Tyler Armstrong of California. He was nine years old when he reached the summit on December 24, 2013. The oldest person to climb it was Scott Lewis, who reached the summit on November 26, 2007 when he was 87 years old. Pushing boundaries is what Kilian does. It is his DNA and as an appreciation and acknowledgement for his contribution to our sport, Kilian was voted: ‘Peoples’ Choice Adventurer of the Year’ by National Geographic. As the coming days unfold, Kilian will test himself once again. He will push his own boundaries and he will ask questions of himself and those around him. To document the journey, Seb Montaz will once again record the action as it unfolds. We get to see the Catalan’s endeavors and achievements through the brilliance of Seb’s eyes. Believe me, as a photographer I not only appreciate the craft of a man at the pinnacle of sports imagery but also as climber and sportsman himself. Remember, Seb is on the mountain, often side-by-side with Kilian, matching his strides, following his movements and in doing so he captures moments that we can look on and savor. We are able to experience the brilliance of two pioneers. We will see less of Kilian in 2015. A return trip to Hardrock 100 is almost certainly on the cards. After all, why wouldn’t he want both course records? 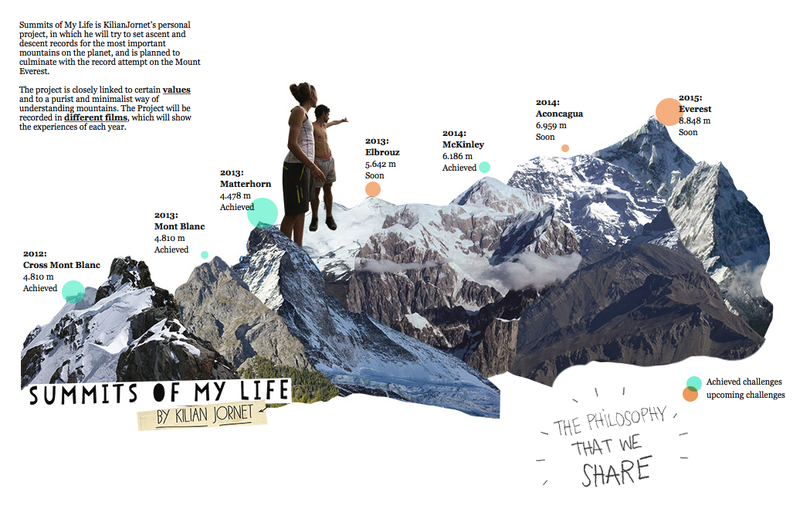 But ultimately, Kilian will focus on Everest and the ultimate challenge that this mountain will provide. I am unsure what Kilian will do in the future… I think maybe even Kilian is unsure? Aconcagua is a priority for now and then focus will shift to Everest; the big peak in the Himalayas. Everest will dominate the mind of the Catalan. It will consume him and with meticulous preparation and he will conjure a plan… a plan that will take him to the top of the world! “I consider this failed attempt like a big training in altitude” said to me kilian after running and climbing from Horcones ( 2950m) to 6200 m and back ( about 14h) with crazy 90km/h wind in his face. Emelie and Kilian will be stronger for the next attempt! Kilian is on his way trying to achieve another dream!! You can see the long road to the Summit! Go Kilian!!! 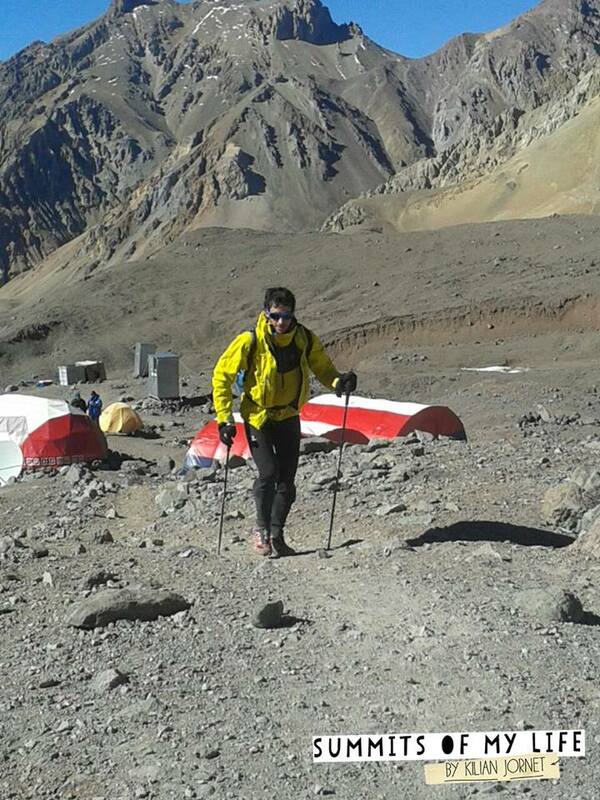 Kilian passed Plaza de Mulas, Aconcagua’s Base Camp at 4.300m. He is feeling well because weather is good and not too windy. Let’s push him up to the summit!!! GOOOOO KILIAN!!! 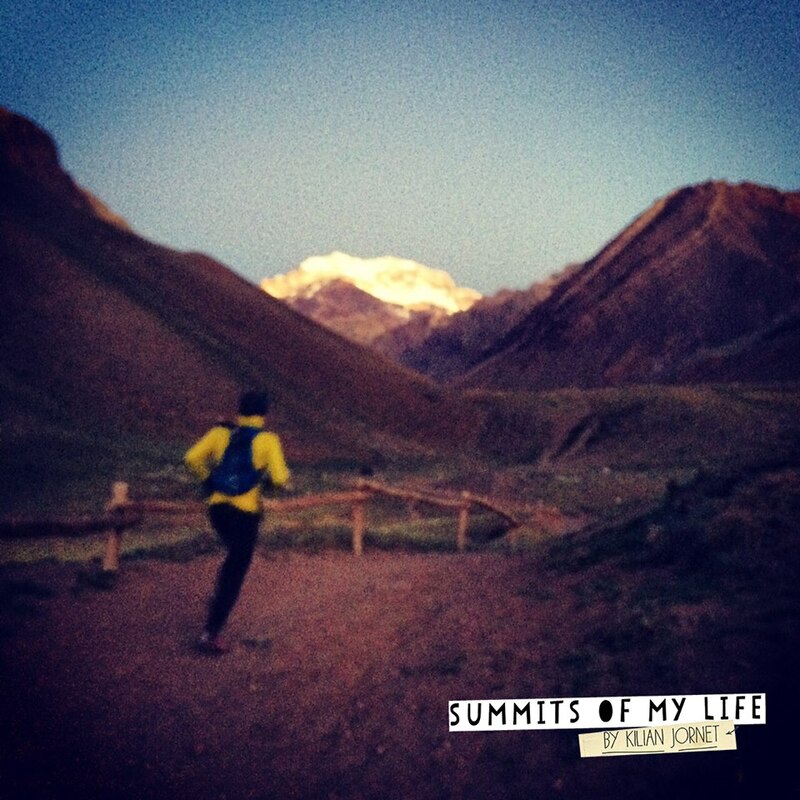 This entry was posted in Uncategorized and tagged Aconcagua, Alpinism, Argentina, Chile, Climbing, Kilian, Kilian Jornet, kilianj, Mountains, Record, runing, Salomon, Speed, Summits of my life, summitsofmylife by talkultra. Bookmark the permalink. C’mon, how can you not be a fan! The guy is a legend and just 27-years old – frightening! Nice Killian rundown. Definitely deserves the ultra respect.